This is a season's greeting from MÜST. Happy Chinese New Year! Our office will be closed from 2 Feb to 10 Feb 2019. 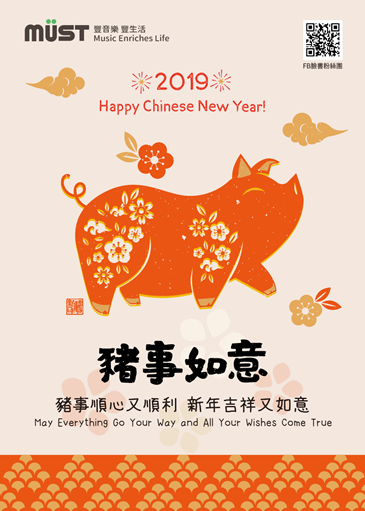 Hope the Year of the Pig brings you Good Health, Happiness and Prosperity. © 2015 社團法人中華音樂著作權協會 MÜST All Rights Reserved.